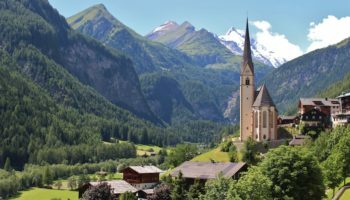 To explore the Alps and see the best of Germany and Austria in one unforgettable adventure, this article provides an itinerary that winds from Munich all the way to Vienna. 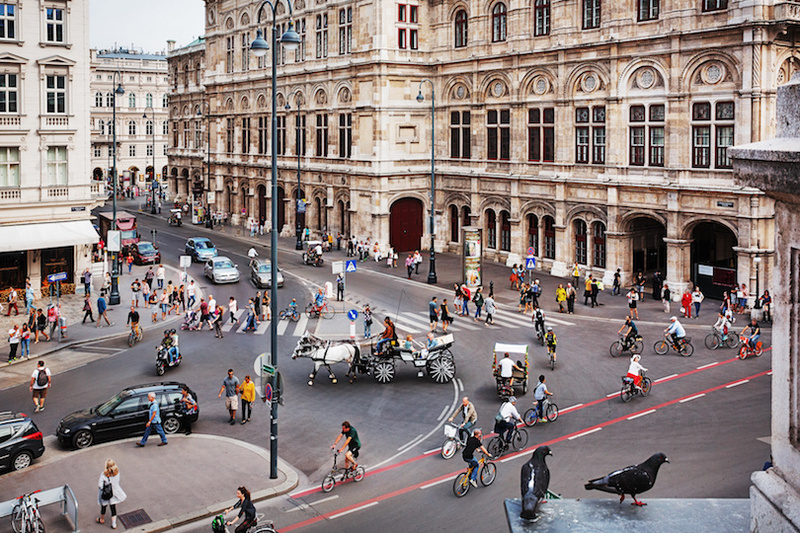 Although it is less than 450 km (280 miles) from Munich to Vienna, the two cities provide very different architecture, cuisine, culture and history. 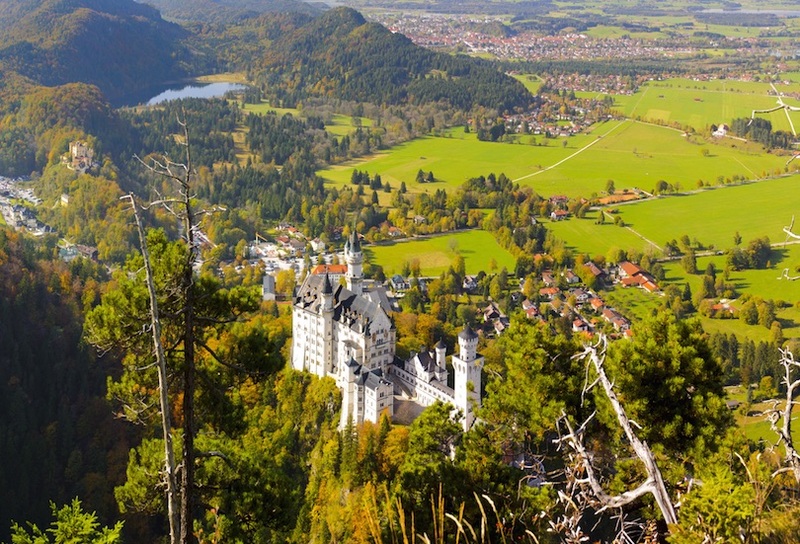 Along the way, add in stops to places like Neuschwanstein Castle and the city of Salzburg. 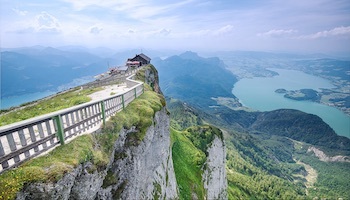 In just one week, you can experience the scenery of Southern Germany, the cities of Austria and the vibrancy of these two incredible nations in Europe. 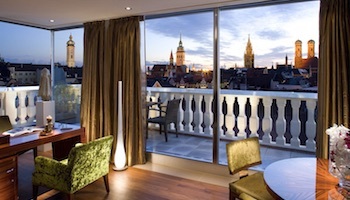 Begin the trip of a lifetime in Munich, the Bavarian capital in South Germany. 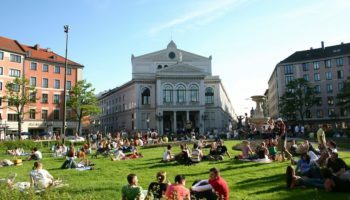 Munich is perhaps known best for its bustling beer halls and annual Oktoberfest, but there is a lot more to the city than just its ales. 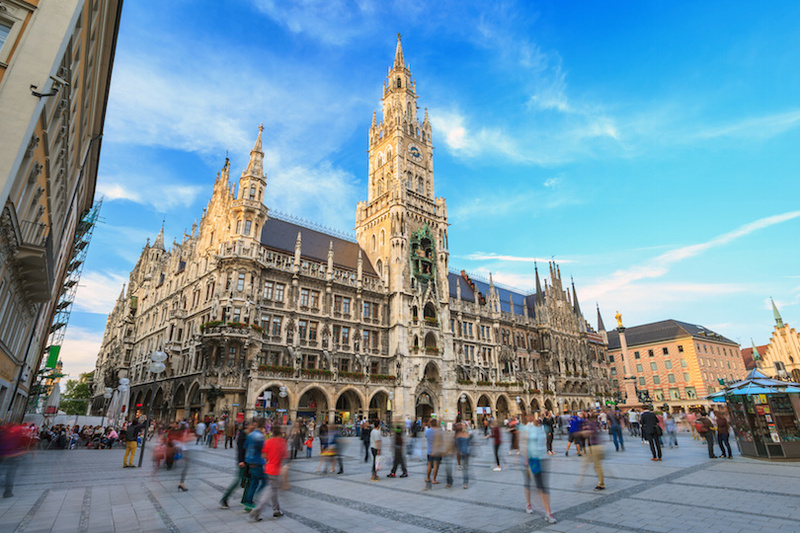 For architecture enthusiasts, Munich won’t disappoint, and you might fill a day with sightseeing to spot the 14th century Residenz, the 17th century royal summer residence called Schloss Nymphenburg or the Frauenkirche, an impressive religious structure that dominates the skyline of Munich. If you prefer museums and art galleries, be sure not to miss the Brandhorst Museum or the three art museums known collectively as the Pinakotheken. No trip to Bavaria could be complete without a visit to Neuschwanstein, a 19th century palace built in the Romanesque Revival style. Once the summer home of King Ludwig II of Bavaria, Schloss Neuschwanstein is also the inspiration for the famed Disney castle. The beautiful structure looks like it is straight out of a fairy tale, and it is set among the Alpine foothills for breathtaking views. Inside the castle, you can stroll through the gatehouse, tour the authentically refurnished kitchen, catch your breath in the brilliant throne room and admire the rich tapestries, art and decor in the many bedrooms and studies of the former Bavarian King. Less than 100 km (60 miles) south of Munich is the city of Garmisch-Partenkirchen, an Alpine destination beloved by outdoor enthusiasts. 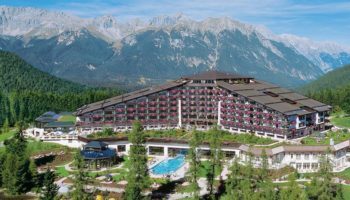 The area is particularly popular in the winter, when you can ski down the Zugspitze, which is the tallest mountain in all of Germany. Even when there is no snow, you’ll be able to hike on Alpine trails, admire the stunning scenery all around you and stroll around the Partnachklamm. 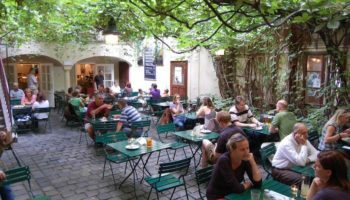 After lots of outdoor activity, local restaurants are an appealing option, and you can dig into hearty dishes in the Rathausplatz or just warm up with some schnapps at a local bar. Just across the German border, you’ll come across the city of Innsbruck, Austria. The capital city of Tyrol, Innsbruck is a scenic spot that is also known as the largest ski resort in the Alps. 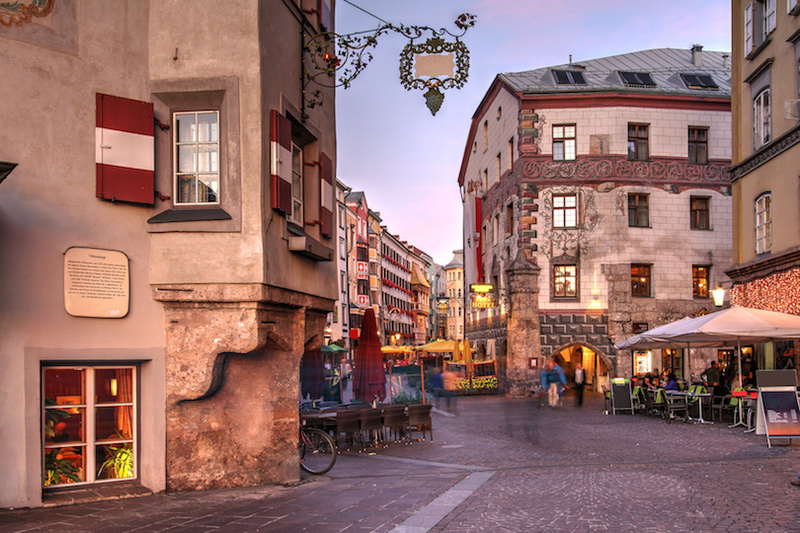 In addition to sledding, skiing, snowboarding and snowy carriage rides, Innsbruck boasts a variety of historic attractions. 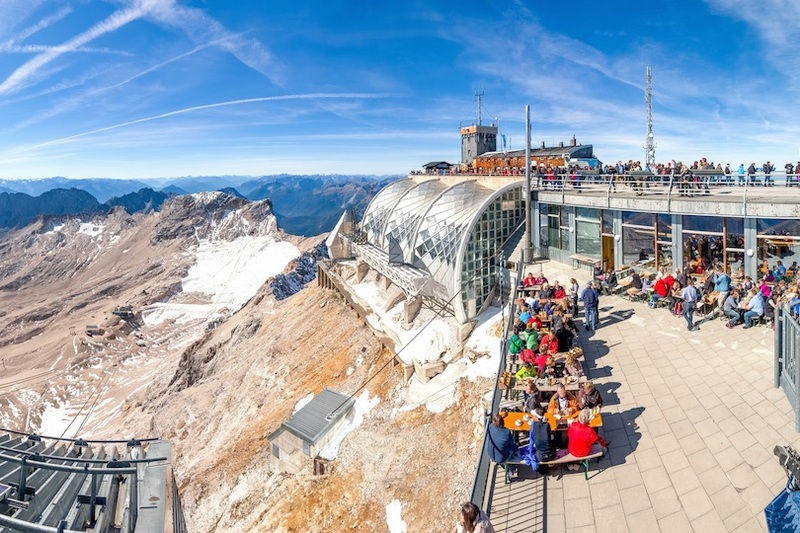 On your stopover in the city, you won’t want to miss the architecture or armor collection in the Schloss Ambras, the 18th century Baroque cathedral called Wiltener Basilika, the 400-year-old Bell Museum or the Alpenzoo, where you can see the Alpine wildlife in a scenic habitat. Next up on your Munich to Vienna trip, make your way to the Austrian city of Salzburg. 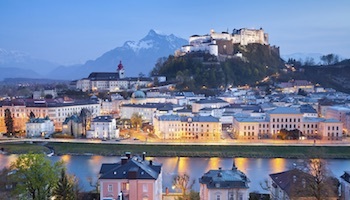 Although it is the birthplace of Mozart and the setting for the Sound of Music, Salzburg has plenty more to offer than its musical accomplishments. 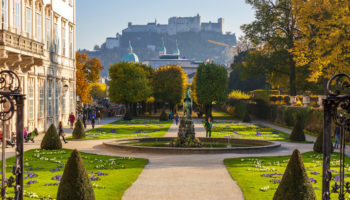 Historic architecture lines the streets, and you might want to visit the pretty gardens of Schloss Hellbrunn, the mountaintop Hohensalzburg Fortress, the medieval buildings that make up the Alter Markt Square and the incredible Dom zu Salzburg. 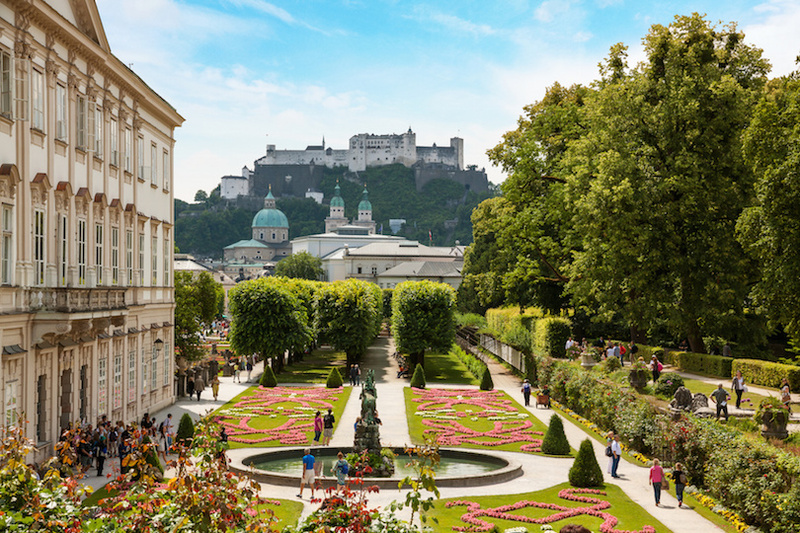 Learn more about the city at the Salzburg Museum, or get a crash course in Austrian culture at the Salzburg Museum of Modern Art. Don’t leave without touring the incredible salt mines just outside the Old Town, which explain how Salzburg got its name. 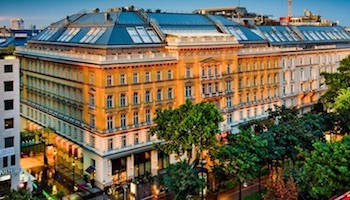 Round out this adventure in Europe with two nights in Vienna, the capital of Austria as well as its economic and cultural center. 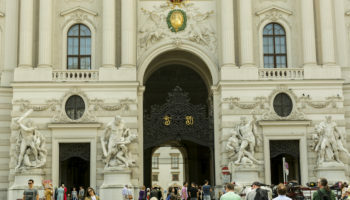 Two nights only scratches the surface of this magnificent destination, but the highlights will definitely include the Hofburg Palace, which served as the royal residence for the Habsburgs until the 20th century, the striking towers of St. Stephen’s Cathedral, the enormous Austrian National Library and the parliament building, which is open to public tours when parliament isn’t in session. Before you leave Austria, indulge in Viennese culinary specialties like Apfelstrudel, Wiener Schnitzel and a boiled beef dish called Tafelspitz. Would you recommend travel by train or rent a car? Jennifer Kraschnewski: Train is hassle free, and train connection is very (i mean very) good. Yet, the tickets are not that cheap, so car will probably be cheaper, but train will definitely be more stress free.